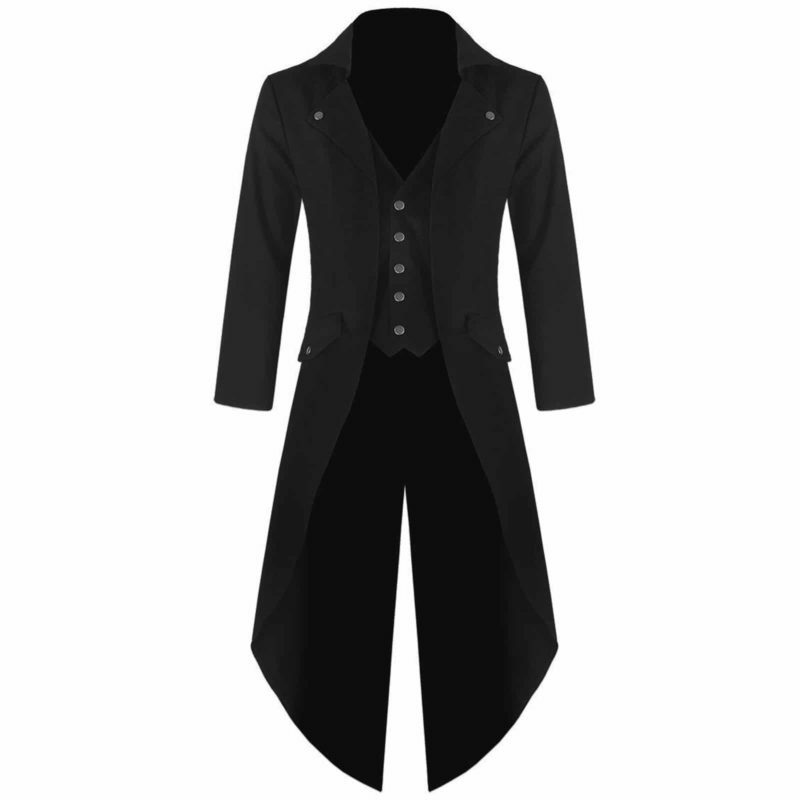 Men’s black cotton tailcoat style jacket, with unique cutaway front which gives the appearance of a vest being worn beneath the coat. 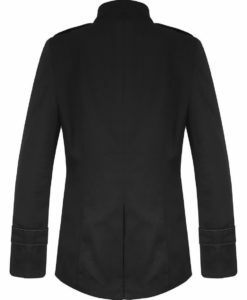 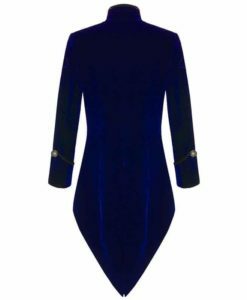 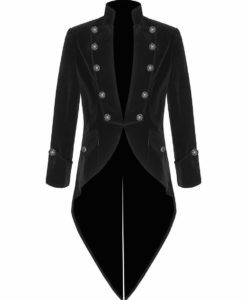 Fastening at the front with 5 snap fastening buttons, with classic notched lapels featuring decorative snaps. It has long pointed split tail to the rear, plus with decorative strap at the back. 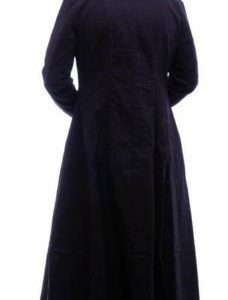 Complete with 3 snap fastenings to each cuff and snap closure pocket flaps makes it amazing looking Victorian jacket. 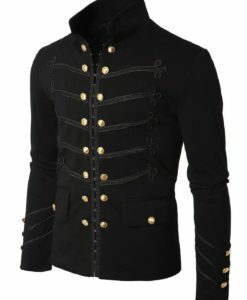 The front of this jacket is designed with Victorian style touch. 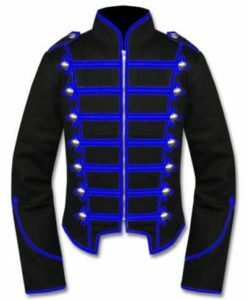 The inner part of the jackets looks like a vest wearing under a jacket but actually it is added for the closure purpose only. 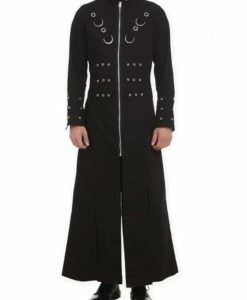 It features snap closure buttons. 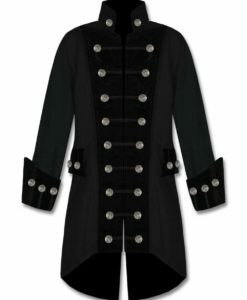 There are two flap pockets on the front with decorative snap buttons. 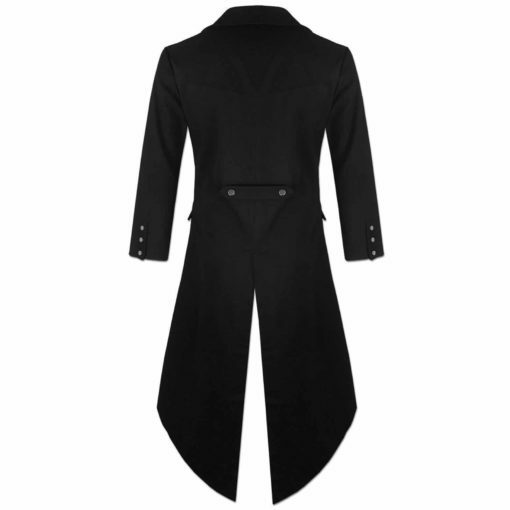 It features long coat collars with chrome buttons for decorative purpose. The back of this jacket features a strap with two decorative buttons. 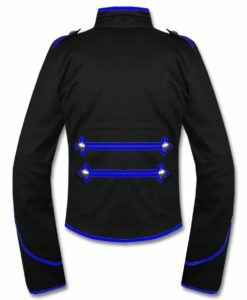 There is a cut on the tail of the jacket which makes it amazing looking jacket. 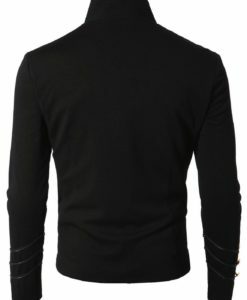 The cut of the tail helps in comfortable wearing of the jacket. 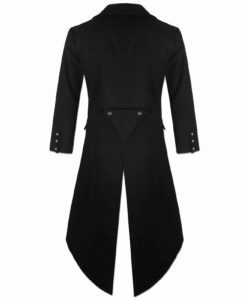 I was initially having a problem with the sizing of the jacket and their customer support handled it greatly! 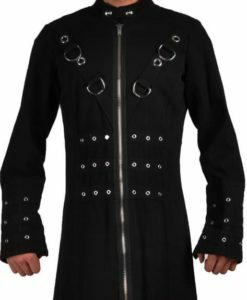 It fits like a glove and I got that jacket ahead of time as well so that’s also a plus! Thank You So Much Kilt and Jacks!